Have you ever really wanted to do something, but felt stuck because you didn’t know how? This happens to me all the time! There’s so many things I’d love to do, but my concern for “not doing it right” holds me back. But these last few years, I’ve really been challenging myself to take the chance and do the thing anyway. Even if it’s just to see what happens. And it’s brought out a part of me that I never expected. In the time since I started this adventure of saying yes to my deeper yearnings, I’ve learned skills that I didn’t imagine having even a couple of months before. And it’s helped me get more comfortable with being imperfect. In fact, it’s taught me to appreciate being a beginner. Because the beginning is full of potential that disappears when we’re further along into something. We don’t keep quite the same spark or level of excitement as when an experience feels really new. As nerve-racking as it is, there’s something beautiful about the process of stumbling along as we try something different. It’s the stuff a hero’s journey is made of. And who doesn’t love to see the underdog finally win? We wouldn’t be as happy for them though if they hadn’t started off as the underdog. The one with the odds against them that kept going anyway. When we first had the idea for our new project, The Secret Lives of Muslim Women, my sister and I didn’t really know where to start. I remember how excited Muni was when the idea first came to us. I was excited too, but I also felt really overwhelmed. I didn’t think we were ready yet. So I insisted that we hold off until we finished some other work. And we did. But the idea kept coming up in our conversations. After a few months of discussing it casually, Muni was determined for us to get started. She actually scheduled a meeting just to persuade me. Of course, her enthusiasm rubbed off! She convinced me that it was time to bring our idea to life… even though I still didn’t feel ready yet. And just like every other time I’ve started something new, it’s been a crazy ride. Within just a couple of months our original idea has transformed. We have a much clearer vision now… and a bigger one too. But it never would’ve happened if we didn’t take that first step of starting. Starting definitely felt like it came with a lot of pressure though. We were preparing to share something that we really care about with the world. We often put so much pressure on ourselves, yet we produce our best work when our mind feels free. Our vision for the Secret Lives of Muslim Women only evolved into what it is now because we eventually let go of some of our original idea. We were well into planning it, but something just didn’t feel right. It was a conversation with one of our mentors, Sarah, that sparked some clarity for us. She led us back to the drawing board. To get clear on our intentions. And then create from that space. I was so worried about making our deadline though, that I didn’t think we had this luxury. But Sarah helped me see that we had more choices than we were allowing ourselves. Because we were making the blueprint, not following one that already exists. Releasing the pressure of fitting into a certain mold gave us a lot more wiggle room. Saying yes to our dreams doesn’t mean we’re stuck with them. It means we’re committed to letting them grow AND to growing with them. As our dream with Secret Lives has grown, so have Muni and I. It’s certainly been a stressful process at times, but it’s led us to exactly where we belong right now. And it’s built our confidence along the way. Going after our dreams teaches us how to believe in ourselves. Saying yes to our dreams isn’t a one time deal. It’s a long term affair. One that evolves as it unfolds. And as it changes, so do we. We become the person that’s meant to and capable of fulfilling our dream… every version of it. So are YOU dreaming up anything special these days? If so, how’s it going? And if not, what’s holding you back? We’d love to hear about it in a comment below this post or an email. You can even share about anonymously in the Secret Lives of Muslim Women forum! P.S. – Are you feeling stuck, overwhelmed, or uninspired by your life? Is there a challenge you’re facing or goal you’d like to work towards? If you’re ready to take a bold, true leap in your life, I can help you. Click here to schedule a FREE discovery session with me. Get the Bold True Life Toolkit! Bold Peace Meditation: Sometimes, living boldly takes courage and getting uncomfortable. Invite calm back in with this short and sweet (3 minute) guided meditation. Bold Leap Journal Prompts: 25 Questions to get clear, confident, and free of overwhelm when you're thinking about making a bold new move in life. Life Coach. Life Student. EFT Practitioner. Laughter Ambassador. Introvert. Podcast Junkie. Aspiring World Traveler. Nature-Lover. Bookworm. Mama of 4. Curious cat. Holistic Life Coach. Essential Oil Aficionado. Can be Bribed with Fudge. "Hanaa is an amazingly warm and compassionate person who makes you feel at ease from the get-go. She’s a great listener and empathizer, so you know you’re working with someone that genuinely cares about you." "Working with Meimuna has been life changing and the best investment I’ve made. 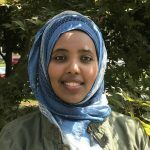 In addition to helping me work on emotional issues, Meimuna also provided me with advice on self care, channeling creativity and finances in a culturally competent way. She goes above and beyond as a coach and visibly invests so much of her time and thought into you as her client. I would highly recommend Meimuna as a coach for anyone!" "I love that Hanaa truly personalizes tips and suggestions, which shows how attentive she is throughout the sessions. The time put into the course is totally worth it. Rather than having someone talk at you, Hanaa listens and talks with you. She provides thoughtful questions and feedback that lead you to engage in introspection and come to conclusions that are best suited for you. The course really takes a practical approach to your own definition of happiness and helps you to find that in your everyday life." "From the very first session, I felt an instant connection and acceptance from Meimuna. She was far from judgmental and made me feel very safe to express myself. My favorite part about coaching with her was that it felt like I was talking to a friend. She always made me feel comfortable to be able to express whatever was going on in my life and helped me work through my problems in a logical way." "Hanaa listened. Often when we have goals, we need clarity. We may have so many different ideas or there may be many different ways to accomplish a goal that we feel overwhelmed. Hanaa allowed me to talk about my goals and concerns and she truly listened. This allowed me to talk out certain ideas, gain direction, and brainstorm solutions. In addition to listening, we also worked together to develop techniques that I could do to gain further clarity. 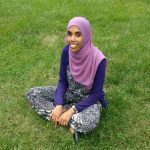 With Hanaa, I went from being overwhelmed to focused!" "Hanaa creates a very welcoming environment that makes it easy to talk and share. She holds space for me so that I feel safe enough to share my struggles and she helps me to address them in a calm, loving way that makes me feel it is okay to open up." "Finding answers within yourself is exhilarating. You'll start thinking with a new perspective and you'll see the little things that you never thought mattered actually caused were a burden and you can finally let them go. This course will help you find answers and make yourself a priority. It'll lighten the load and allow for true happiness to sink in." Blogcast: 10 Dates to Take YOURSELF On!